As his 2012 Walter Payton Man of the Year award shows quite well, Matt Birk has always been willing to stand up for what he believes in and help his community. Continuing in that fashion, Birk recently wrote an op-ed piece for the Minnesota Star Tribune, in direct opposition to (and even vaguely referencing) the gay marriage stance held by former teammate Chris Kluwe. Now, this is a grudge match of smart people if there ever were one – at least in the NFL. We have already gone over Chris Kluwe’s gay marriage stance and accomplishments in a prior post, so we know how smart he is. Matt Birk was actually named the 6th smartest athlete in ALL professionals sports by The Sporting News, right behind fellow Harvard graduate Ryan Fitzpatrick. Notably absent from the list, however, was Chris Kluwe. We’ll leave the debate over gay marriage to those who are smarter than us (even if they happen to be a punter and a lineman, which doesn’t say much for us). 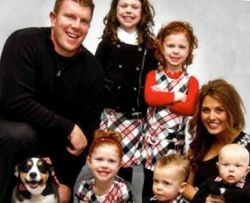 For now, we’ll concentrate on telling you about Matt Birk’s wife Adrianna Birk and their five children. Adrianna was Class of 1998 at Hill-Murray Highschool in Maplewood, MN (unsurprisingly, a private catholic school). 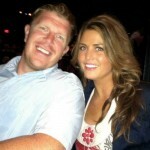 Adrianna met Matt while waitressing during college, as Matt would frequent her cafe. They eventualy found out that they lived only four houses apart – and things sort of took off from there. Took off to the tune Adrianna becoming Matt’s wife and the pair having five children. 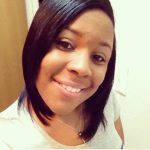 Adrianna volunteers at a crisis pregnancy center and, like her husband, is very pro-life. 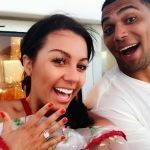 She is also an active member of a bible study group that her and Matt attend along with fellow Ravens teammates and wives. Adrianna recently converted to be a pescetarian (someone who is a vegetarian, but also eats fish) and enjoys cooking. Most recently, Adrianna Birk opened a boutique shop that sells women’s clothing at parties – something that resulted in her missing one of her husband’s home games for the first time since they began dating. I hope you don’t mind my sending a note to Matt through this site but this was all I could find to send a message. I am a Minnesotan & a Vikings fan, I was sad to see Matt leave for he was one of the classiest players we have had but I am happy for him on his Super Bowl victory, he has certainly earned it. I hope upon retirement you can find your way back to MN, I believe that you would be an asset to the state, how does Govenor Birk sound? Lord knows we could use your moral compass. Please thank your husband!!! As a father of 5, it is great to have a professional athlete my children can look up to. I’m sorry I have just found out about Matt, because I live in Alabama, and haven’t watched much “Vikings” football, and now I read he has retired. Just wanted to let you/him know that I have already been on eBay this morning, so I can buy my kids some “Matt Birk” jerseys, cards, bobble heads, and things of that nature. Thank you both, for being positive role models. Matt come back to Minnesota!! I agree with Scott above we need new Governor. You would be the right man for the job….